I hope you, like me, are enjoying a three day weekend. I also hope that you, unlike me, have something more fun and thrilling planned than lesson writing, workshop letters, and novel progress (which is secretly kind of fun and thrilling in a different way. Nerd alert!) No matter how you spend the day, it's good to take a moment and reflect on the man who's memory we're honoring, and it's best to let him speak for himself. Here's to a great man and a good day. If any of you are around when I have to meet my day, I don't want a long funeral. And if you get somebody to deliver the eulogy, tell them not to talk too long. 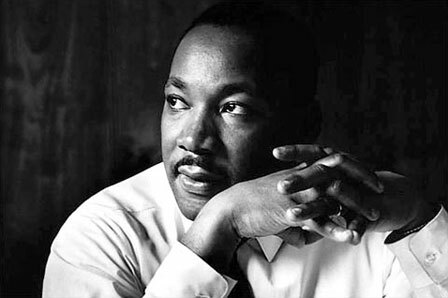 Every now and then I wonder what I want them to say...I'd like somebody to mention that day, that Martin Luther King, Jr., tried to give his life serving others. I'd like for somebody to say that day, that Martin Luther King, Jr., tried to love somebody. I want you to say that day, that I tried to be right on the war question. I want you to be able to say that day that I did try to feed the hungry. I want you to be able to say that day that I did try in my life to clothe those who were naked. I want you to say, on that day, that I did try, in my life, to visit those who were in prison. I want you to say that I tried to love and serve humanity.